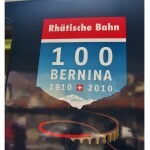 Part II of our epic rail journey across the alps. Moving right along from St Moritz, R and I hop on the Bernina Express and come down the mountain side, crossing over into Italy. There we make our way to the picturesque town on the shores of Lake Como … read : George Clooney’s playground. 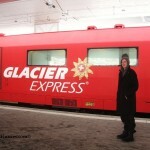 Alpine Tour on the Glacier Express, Switzerland. For Valentine’s Day this year R took me to Switzerland and we spent the day touring the Swiss alps on the world renowned Glacier Express, ending up in St Moritz mountain ski resort. For train enthusiasts, this rail journey is definitely worth the price tag ~ the views are some of the most stunning I have ever seen in my life! !